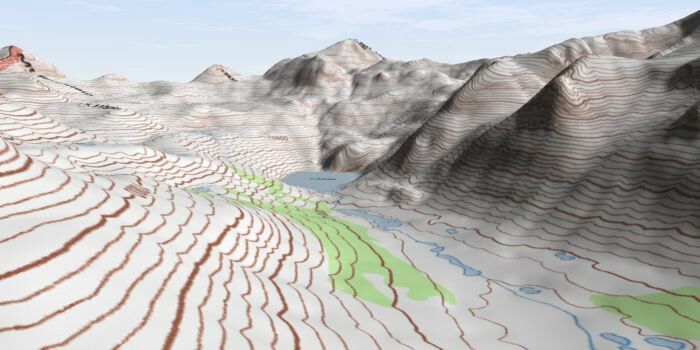 With Natural Scene Designer, you can view a topographic map from any viewpoint in 3D! Also creates realistic pictures, fly through animations, and shaded relief map backgrounds. Note: Some websites refer to Topographic Maps as 'DRGs'.